Just a few days ago, ABC announced that Fresh Off The Boat star Randall Park would make a guest appearance on Ken Jeong’s Dr. Ken, playing the “seemingly straight-laced leader” of a Korean men’s club who turns out to be a “wiiiiiiild” guy. Now, Deadline says that Jeong is going to repay Park by guest-starring on Fresh Off The Boat in an upcoming episode. 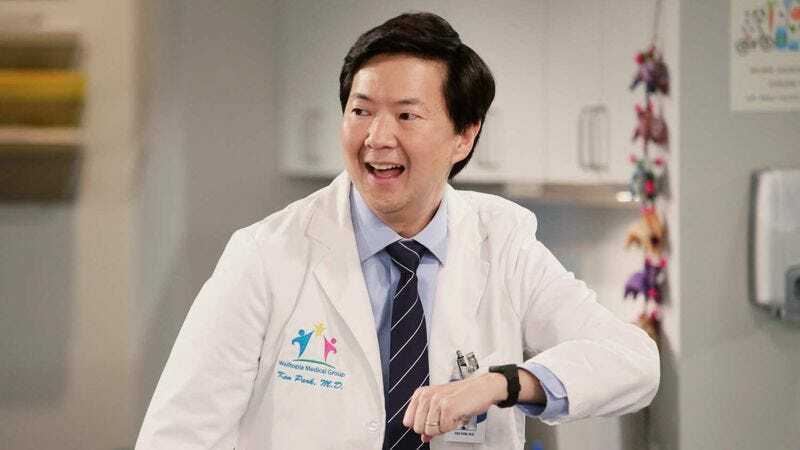 Jeong will be playing Gene, “the fraternal twin brother” of Park’s character, meaning ABC is choosing to pass on this opportunity to establish that both Dr. Ken and Fresh Off The Boat exist in the same universe. That would’ve opened up a lot of fun storytelling possibilities, like maybe the family from Fresh Off The Boat could go to Dr. Ken’s Dr. Ken for medical advice, or maybe…no, that’s probably all they’d do. Jeong’s episode of Fresh Off The Boat will air in May.